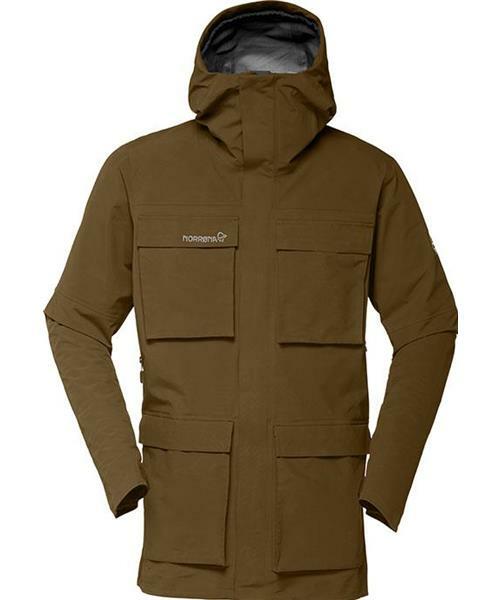 Inspired by Norrona's original mountain anorak from 1975, the svalbard Gore-Tex Jacket is a true example of timeless product design combined with outstanding technical quality. The perfect choice for any outdoor enthusiast that first and foremost enjoys being outside and appreciates classic and durable products. The soft 3-layer GORE-TEX® C-Knit shell fabric keeps you protected from the elements without compromising on your mobility. It has a longer, regular cut and four velcro closed cargo pockets with lots of space for your foldable coffee cup, gloves or snack. For a more athletic fit they have added a waist thightener and there are underarm vents for those warmer days. It also has a very practical storm guard covering the front zippers.